As we enter the weekend of International Sherry Week, I continued the festivities last night by taking a step outside the city of Jerez to enjoy a Manzanilla from the town of Sanlúcar de Barrameda. Sherry can only be made in the the so-called ‘sherry triangle’, comprising the towns of Jerez de la Frontera, Sanlúcar de Barrameda and El Puerto de Santa María, in the southwestern tip of Spain. A legal designation is given to these wines and it is protected in the same way as Champagne. However, within the sherry triangle, Manzanilla has its own designation and can only be produced in the town of Sanlúcar. In every way Manzanilla is the seperated-at-birth twin of the Finos I discussed earlier in the week. The same palomino grapes, from the same vineyard areas, are vinified and fortified in the same manner as those destined to be Fino. The key difference is the location of the ageing cellars and bodegas. The sherry houses of Jerez, 25km inland, experience extreme summers which can see the flor thin or even die off in the heat. The town of Sanlúcar, located on the Atlantic coast catches more moderating oceanic breezes. In this cooler environment a thicker, more stable layer of flor develops on the surface of the wine, protecting it from oxidative effects, producing the lightest, freshest style of sherry. The name ‘manzanilla’ means little apple, which is a local name for a fresh fragrant chamomile tea; these are two of the more common flavours found in these wines. The La Goya Manzanilla above comes from one of the oldest bodegas in Sanlúcar; Delgado Zuleta. It’s a light straw colour in the glass, with typical green apple and chamomile notes on the nose, supported by a mild yeasty and almond character. It is light, fresh and bone-dry on the palate. Lemons, green apples and chamomile are married with a lovely light touch of bread dough before a long finish that brings forward a touch of pleasant salinity. Availability: Imported by the Spanish wine specialists, Vinos Tito, and is available in most good independent wine shops at about €11/37.5cl bottle. The Irish Wino’s Verdict: This wine is aged slightly longer than the minimum required, so gets lovely complex notes. Offers terrific value for money and is the perfect accompaniment to fish and chips or sushi. To celebrate the official start of Sherry Week last night I enjoyed another glass of Palomino fino. Again it was from bodega González Byass, and once again it goes by the name Tio Pepe. In fact it even comes from some of the same barrels as the wine I reviewed yesterday. But before you stop reading and worry that I’ve been celebrating sherry week with a little too much ‘enthusiasm’ there is one key difference; indicated by the words ‘En Rama’ on the label. Translating as ‘raw’ this essentially means that the wine is bottled with minimal filtration and clarification. Most finos are heavily filtered to remove any bits of yeast and sediments that build up in the barrels, giving a light floral wine. But this process also strips away some of the raw flavour. Fino En Rama receives only a light filtration, to remove the largest particles, before bottling. It is as close as possible to tasting the wine straight out of the oak barrel without making a trip to Jerez (although I do highly recommend every budding sherry enthusiast make a pilgrimage to that city). But there is more to the wine than simply saving on a bit of filter paper in the winery. The wine for the En Rama bottling comes from carefully chosen casks of Palomino in the bodega. As I mentioned yesterday, a layer of yeast (flor) grows on top of the wine inside the two-thirds full casks. In some barrels the exact strains of yeasts present will differ slightly, providing subtle flavour nuances; in others the layer will grow faster and thicker, influencing the extent of oxidation. Hence each barrel will have its own unique character and flavour profile. As these casks are never completely emptied of their wines in any given bottling, the Master Blender will know which individual barrels tend to develop the more complex characteristics. When the stocks are simply blended together for Tio Pepe, this variation is lost giving the end product a consistency from year to year; the better wines compensating for those that are less complex. 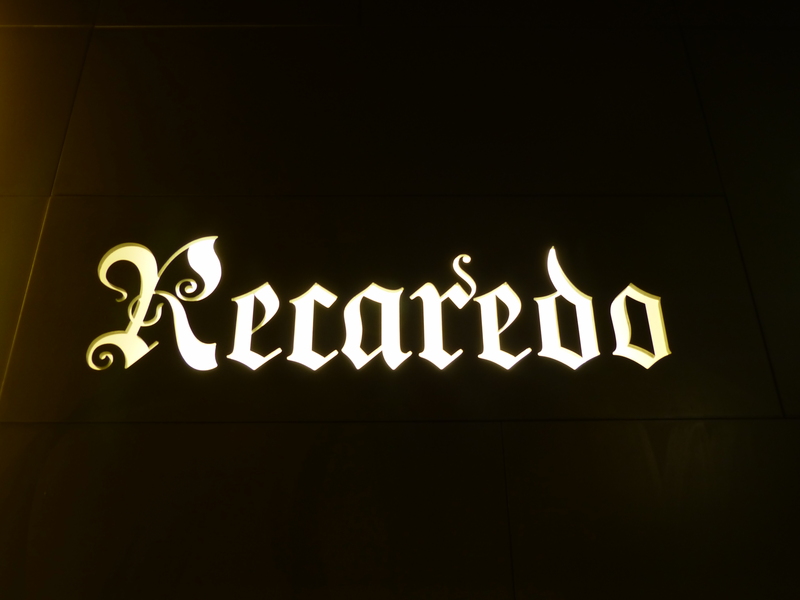 However, in the last 8-9 years there has been a trend among sherry bodegas to keep back the very best wines from carefully selected casks and release this superior quality wine in its raw form. Now the release of the En Rama wines are some of the most eagerly anticipated events in the sherry-lover’s calendar. So, what’s the difference I hear you ask? Well, firstly the price; the En Rama version is about twice the price of the regular Tio Pepe. But it is also fantastically more complex than the regular wine. In a side-by-side comparison the En Rama version is like the Tio Pepe on steroids. In the glass it is a much deeper gold (unsurprising as it is not as heavily filtered). All of those lovely almond and mealy green apples on the nose are still there, but amplified and exaggerated. The soft floral and chamomile character of the regular Tio Pepe is relegated, whilst the yeasty bread note comes to the fore. On the palate it has a richer mouth feel and the almonds are joined with hazelnuts and a pleasant salinity on the long finish. But despite this fuller form of Tio Pepe there is no denying its origin, boasting an elegance that begs for another glass; it is beautifully balanced and is the perfect accompaniment to a meatier fish plate or sushi. Availability: Alas this is not an easy wine to find, but most good independent wine shops will stock at least one brand of fino En Rama. The excellent Lustau Fino En Rama is on special in Mitchell and Sons during Sherry week and The Corkscrew on Chatham St usually have some stock. These wines tend to be released twice each year- in Spring* and Autumn- and as they are not stabilised through filtration should be drunk young. The Irish Wino’s Verdict: This is a wonderful and complex wine. Although more expensive than the regular Tio Pepe, the En Rama is a very different beast and should be seen as the premium product that it is. For the very limited production available it still offers very good value for money and well worth hunting down. * The wine I reviewed was the Spring 2016 bottling. Today sees the start of Sherry Week- a global celebration of that most underrated (in Ireland at least) and quintessentially Spanish wine; showcasing the history, culture and creation of sherry. Once Spain’s most important wine export, sherry is in the middle of a true renaissance. If you think it’s purely the preserve of elderly female Downton Abbey characters, take another look at the wine lists of some of the trendiest restaurants across the globe, where a good sherry offering is essential. And it’s no surprise, as these are hugely versatile, food-friendly wines. If you want to get involved in sherry week, find a full offering of events in Ireland over on The Vine Inspiration blog, run by the passionate and knowledgeable sherry educator, Paddy Murphy. For those of you not on The Emerald Isle, you can get a comprehensive list of events in your area on the Sherry Week website. One event that everyone can join is the online tasting with the Master Blender of González Byass, Antonio Flores. On Thursday 10th November he will be giving a tutored tasting of Tio Pepe. Find details here. Last night I started celebrations early with a bottle of this delicious fino. Being on the market since the mid-19th century, even confirmed sherry lovers often overlook this wine in favour of more fashionable brands. However, it remains one of the best-value mass produced wines of the world. As with all sherry finos, the Palomino grapes for this wine come from the vineyards around the city of Jerez in the south west corner of Andalucía in Spain. Only the finest first press grape juice (must) is used, from which this style of sherry gets its name (fino= fine in Spanish). The must is fermented like any other wine before the addition of alcohol to bring it to 15% abv. This fortified wine is then aged for an average of four years in large old oak casks that are two-thirds filled. During this time a layer of yeast (flor) grows on top of the wine, protecting it from too much oxidation and preserving its freshness. This wine could not be further from the perceived sweet and cloying reputation sherry has attracted. It is light, floral and bone dry. On the nose it is full of aged green apple, chamomile and an attractive almond and bready note. In the mouth it is crisp, fresh, dry and balanced, offering up those promised green apples and almonds. The alcohol (15-15.5%) is well balanced and gives it a lovely warming touch on the long finish that offers a touch of saline minerality. This wine should be served well chilled and is perfect as an aperitif or with fresh shellfish. Once opened keep in the fridge and drink within a week. Tio Pepe is available from most off-licences, supermarkets and wine shops for around €16 for 750ml. The Irish Wino’s Verdict: This is not the most serious or complex sherry I will try this week, but it is fabulously consistent, excellent value and tremendously food-friendly. The Irish Wino’s Tip: This wine should be drunk young and fresh, so check the back label for the bottling date. If it was bottled over a year ago, leave it on the shelf. Independent wine shops and better off-licences should have younger, fresher stock. It has been a fortnight of celebration here in Ireland. Last week saw the St Patrick’s day festivities and this week will see the commemoration of the Centenary of the 1916 Rising on Easter Sunday. To help us celebrate, O’Briens Wines are giving 15% back on your Loyalty card when you buy 6 bottles of wine. There is also a 6 For 5 deal on Irish craft beers, so below are a few recommendations to help celebrate this long weekend in style. 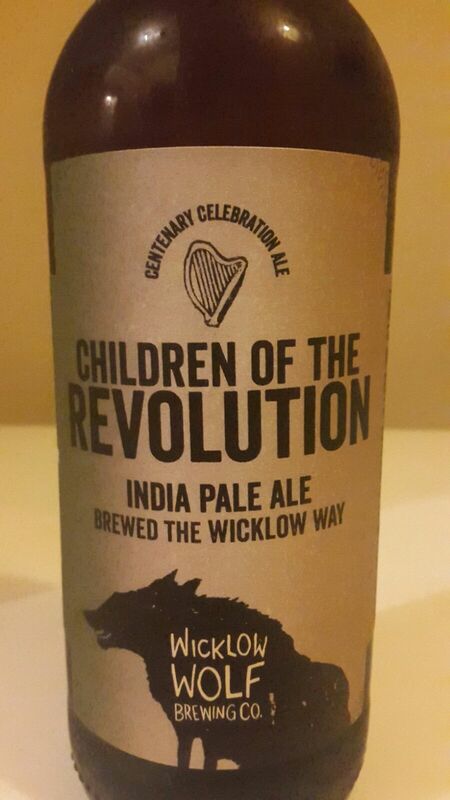 First up is a celebration IPA from the lads in Wicklow Wolf brewery. This beer got some great press when some bored whingers with nothing better to do with their time accused the brew of being aimed at children due to the name. Surely if your kids manage to get their mits on beer you have bigger things to worry about? Keeping in style with their regular bottles the lads have subtly blended in the shadow of a Tricolour on the label to distinguish it from their Free Ranger IPA. A deep golden colour in the glass, this beer has a warm white grapefruit and orange peel nose. Made with a medley of 5 different hops, it unsurprisingly has a satisfying hoppy finish alongside refreshing citrus flavours. The Irish Wino’s Verdict: This beer is the best to come out of Wicklow Wolf yet. Refreshing and easy to drink (possibly dangerously so!) I reckon this Centenary Celebration brew will sell out quickly, so stock up if you see it. The first wine comes from the consistently impressive Bodegas Valdemar; a family-owned winery dating back to 1889 and now boasting its fifth generation of winemakers. Only produced in the best vintages, their Gran Reserva wines are made from carefully selected estate-grown Tempranillo, Mazuelo and Graziano grapes. Unlike most other countries, Spain has imposed a legal definition on the terms Reserva and Gran Reserva appearing on wine labels. This wine is aged in oak barrrels for 26 months before being left to develop in bottle for a further 4-5 years. 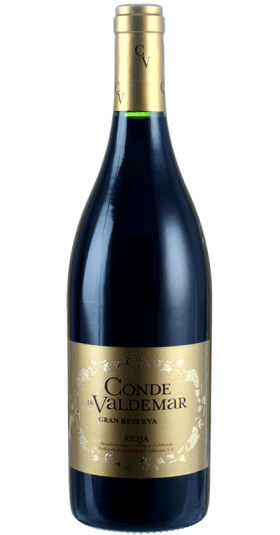 Even then the wine is subject to the strictest of standards and only the crème de la crème will achieve the Conde Valdemar label (the 2008 vintage fell at this final hurdle). The care and attention that go in to making these wines means they are capable of ageing incredibly well and tend to develop a rich meaty and balsamic character with time. Last year I tasted a number of older vintages, dating back to 1973, and they were still deliciously vibrant. The 2007 above has a lovely perfumed and floral nose, helped by the small dash of Graciano in the blend. The oak is still quite evident (spice, coconut, vanilla), but is balanced by ripe cherries and deep black fruits, as well as an attractive fresh tobacco aroma. In the mouth the wine really packs a punch of bramble fruits and sweet spices; as well as a more savoury character on the finish from the long ageing. The Irish Wino’s Verdict: This wine is a perfect match for an Easter Sunday roast beef. If you have the patience (and dosh!) grab a few at this price and lay them down for a few years; they’re a great addition to any budding wine cellar. If you like this, try rooting out Bodegas Valdemar’s excellent Maturana- a long-abandoned Rioja grape variety that is being rejuvinated by a couple of pioneering wineries. The second wine has a suitably Irish connection. It is made by Laurent Miquel and his Irish wife, Neasa, in their organic estate high in the hills of Corbières, in the south of France. On the nose this wine has deep red fruits- cherry and overripe strawberry- from the Grenache, as well as some darker bramble fruits and black pepper from the Syrah. In the mouth it follows through with the bramble fruits, sour cherry and some balsamic notes from the ageing. It has a long, pleasant finish. The Irish Wino’s Verdict: This wine is screaming out for a nice rack of lamb and mint sauce. At €12.95 this is a very good value wine from a top producer. A couple of times a year the giant German discounter, Lidl, offer a Premium French Wine range, where you can grab some terrific value top-end wines from some of the best French wine regions. Today, 22nd February, sees their latest offering; but be quick- quantities are limited. Below are my best value picks. Coming from the Alsace region, located on the French side of the German-Franco border, this wine is made from the Pinot family of grapes (despite the varietal label name, they are often a blend). It has a lovely weight on the palate and a refreshing citrus zip of preserved lemons; alongside stone and white fruits like peaches and pears on the long, satisfying finish. The Irish Wino’s Verdict: Gets my nod for best value wine here. Ready for drinking now, but maybe squirrel a bottle or two away in case we are blessed with a couple of sunny days this year; perfect for barbecued fish or chicken. As with the Pinot Blanc above, this wine has a lovely weight in the mouth, but offers much more citrus fruits- fresh lemons, limes and bramley apples. It also has a complexity to it: white fruits, fragrant flowers and some slatey minerality. The Irish Wino’s Verdict: This is a great value Riesling- fresh, fruity and fragrant. Will match the same foods as the Pinot Blanc above, but would also stand up to a mild curry or shish. 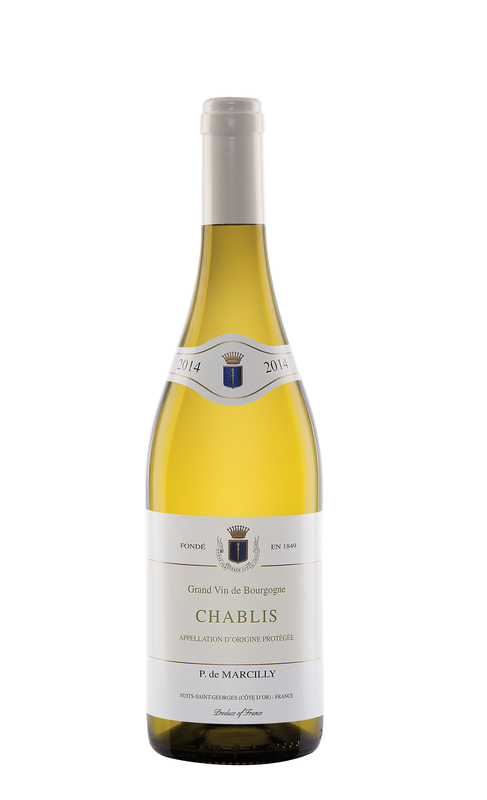 This is terrific value Chablis AOP; it hints at the attributes of top-end Chablis, but at a fraction of the price. As with all Chablis, it is made from the Chardonnay grape (don’t tell that ABC* friend of yours!) and offers steely minerality alongside mouth-watering granny smith apples. With wonderful acidity and a long length, this is terrific value. The Irish Wino’s Verdict: It is difficult to find good quality Chablis at a reasonable price but this wine certainly ticks both those boxes. Complex and elegant: a very good value wine. This is an excellent food wine and would be a perfect match for shellfish- mussels in a white wine sauce or oysters. *ABC= Anything But Chardonnay. A popular, but grossly unfair designation towards a grape that produces some of the finest white wines in the world: white Burgundy and Champagne for a start. Although Bordeaux is better known for its high quality red wines, it does produce some fabulous wines from white grapes- both sweet and dry. This wine is bone dry and comes from the northeastern Blaye Côtes de Bordeaux region. The main grape is Sauvignon Blanc, so offers a crisp herbaceous, grassy character and high acidity; but there is also a nice roundness to the body and more than a touch of peach and spice, suggesting a splash of Semillon (the most important grape in the sweet Sauternes wines). The Irish Wino’s Verdict: An interesting alternative to all the New World Sauvignon Blancs that are so popular right now- Bordeaux is where the grape originated and this wine proves it can still make some very fine, affordable examples. Enjoy with any dish dominated by a rich white sauce: fish in parsley sauce, or a true carbonara. Whilst we’re on grape origin stories, this wine from Cahors is a blend dominated by the Malbec grape. Although now better known for the powerful wines coming out of Argentina, Malbec originates in the southwest of France and was an important part of the Bordeaux blend until a severe frost there killed most of the vines in the mid-20th century. However, the nearby Cahors region persevered with the grape (although usually calling it Auxerrois or Côt) to produce solid, tannic wines with an intense bouquet. This wine is from the excellent 2009 vintage. It has rich, heavy black fruits- blackberry and ripe cherries- as well as a nicely integrated bit of vanilla, spice and toast from the oak ageing. The 7 years ageing have given it some savoury meaty and balsamic notes. Big tannins come from the touch of Tannat grape in the final blend. The Irish Wino’s Verdict: Forget silky elegance- this is a big and bold, hearty wine. The high tannin and fruit will match perfectly with a big juicy steak or succulent leg of lamb. Although it is already 7 years old, this wine could easily age that long again and accentuate the more savoury elements. Very good value for such an aged wine. The little-known Fronsac appellation is a small region bordering Saint–Émilion in Bordeaux. It uses a similar blend of grapes to its more illustrious neighbour, but often offers superb value. This Merlot-dominated wine is still fresh and fruity, despite its age, but does show hints of its 8 years: forest floor bouquet and a balsamic touch alongside silky tannins that have smoothed out with age. The Irish Wino’s Verdict: This is an elegant, silky smooth wine. 8 years of ageing has given it a wonderful complexity and it is drinking perfectly now. It is rare to find a Bordeaux of this age and quality under €20. Once viewed with a certain degree of skepticism, the German discounters have fundamentally changed our supermarket habits. Not only because one can buy scuba-diving equipment and a welding torch along with their groceries, but because Lidl and Aldi bring a practical efficiency to shopping-small ranges of good quality products at a consistent and competitive price. Their wine range is no different, where the quality is constantly improving in an attempt to entice the well-heeled through their doors. Their bare-bones approach means they don’t offer the service knowledge or rare, niche wines offered by an independent wine specialist, but their unrivaled buying power means they can offer superb value at the budget end. Over these next two posts I will recommend some of the best value wines offered by Lidl and Aldi. For the past number of years New Zealand Sauvignon Blanc has been on the crest of a wave that doesn’t look likely to break any time soon. Consequently, the prices have steadily increased and it is hard to find good wines under €15. This example from Lidl is a great bargain at €8.79. On the nose it has the typical cooler Sauvignon Blanc notes of freshly cut grass and green vegetables. On the palate it offers a touch of passion fruit, with a lovely acidity and weight of mouth feel. This is a lovely wine at an extremely competitive price. wary of buying Riesling, uncertain of whether it will be sweet or dry, but it is a wonderfully adaptable, aromatic grape that should be explored and most Alsatian wines are dry (sweet wines will have Vendange Tardive or Sélection de Grains Nobles on the label). This wine is dry with an enticing smokey minerality, offering soft white and tropical fruit on top of red grapefruit flavours. There is a hint of floral and a lovely rich mouth feel with a satisfyingly long finish of pear and lime. A delicious wine that will reward the adventurous! Roessslin Alsace Riesling AOP (€9.99). The first red is from Catalunya in northern Spain. Made from a blend of Tempranillo (Ull de Llebre in Catalan) and Cabernet Sauvignon grapes, it is aged for 2 years in oak before bottling, before being cellared for at least three years to integrate the oak and smooth out the tannins. This long oaking and ageing process produces a complex, full-bodied wine with big notes of vanilla and toast alongside more balsamic and meaty flavours. However, like any good Gran Reserva there is also more than its fair share of red berries and blackcurrant fruits present that belies the fact it is 8 years old. A big bold and rich wine similar to a Gran Reseva Rioja, but without the same price tag. This Bordeaux is a lovely alternative to the Spanish bruiser above. 2010 was a great vintage in Bordeaux and this wine shows all the complexity and finesse one would expect. Loads of black berried fruits and hint of smoke and spice, this wine has great body and good round tannins. It finishes with a rich and long length of blackcurrants and pepper. Delicious claret. Icewine is one of the most fascianting methods of wine production. The grapes (usually Riesling) are left on the vine until winter begins. Only when the temperature reaches –8° C, and the grapes freeze through, are they hand picked (usually at night). The grapes are pressed immediately, leaving behind the frozen water and releasing a small quantity of juice- intense with concentrated sugars, acids, flavours and aromas- that is slowly fermented. Because of the lost water weight, it takes roughly ten times the quantity of grapes to make an icewine compared to a regular dry wine. Due to these demanding production methods, icewines can be prohibitively expensive, but the Lidl example is fabulous value, despite the small bottle size. A little glass will go a long way. Coming from the Niagara region of Canada this complex wine has terrific apricot, honey, peach and pineapple flavours. It’s sweetness is tempered by high acidity, leaving your mouth feeling fresh, with the long lingering kiss of honeyed fruits. Enjoy a small glass of this with dessert. With Christmas only a week away, many of us will be suffering from significantly lightened wallets and stretched credit cards. So, with the presents wrapped and the Turkey picked, it’s time to look for some good value wines to lighten the financial burden of the festive season. This weekend I will conduct a Supermarket Sweep to bring you some of the best affordable wines available across the country. After bringing you some of O’Briens’ offerings from their Fine Wine Sale last week, today I pick a selection of their best value wines to help toast the festivities on a budget. Many of us like to start our Christmas dinner with a drop of bubbly and there are some fabulous offers on Champagne in O’Briens, such as the excellent Lanson Black Label NV (€34.99). But to stick to a budget I recommend La Rosca Cava. 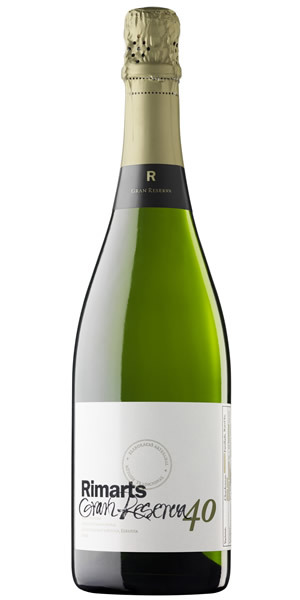 Produced in the heart of Catalunya by one of the great Cava houses, Cordoniu, it is made in the same laborious method as Champagne, so shares some characteristics with its better-known French counter-part; at a fraction of the price. This wine is fresh, fruity, with a little bit of bready complexity. Easy-drinking and a lovely round mouth feel from the soft mousse of bubbles, this is a great alternative to Champagne or Prosecco. Alternatively, why not try a quality sparkling cider and support a local industry. Craigies Dalliance 2013 is a lovely dry Irish cider, whose refreshing zest and creamy texture resembles a sparkling wine more than a traditional cider. Made from bitter cooking apples it offers a lovely medium-light body and great complexity from 15 months ageing on the lees. Terrific and complex, it’s time to take a good look at quality Irish ciders again. O’Briens are offering a terrific range of styles across their value white wines this year and this list could have taken a full post by itself, but I managed to limit myself to the two wines above on the basis of greatest quality for money. The Bellow’s Rock Chenin Blanc is my go-to everyday white wine at the moment and would still be good value at the original €15.99. The grapes for this wine come from the cooler southern coastal region of South Africa, which keeps the natural acidity and balance in the wine. Fresh citrus and tropical fruits give a wonderful food-friendly wine, with great balance and a long, satisfying finish. If you are entertaining a crowd this Christmas, this wine is sure to be a crowd-pleaser. If you prefer something more classic, the family-produced Bougrier Sauvignon Blanc from the Loire Valley is a lovely, easy-drinking wine with all the hallmark flavours of a cool-climate Sauvignon. Produced in stainless steel to retain freshness, it offers lemon, lime and grassy notes, along with some pear and enticing minerality. A solid, good value wine. If it was difficult to limit this post to two whites, the reds picked themselves. This is not because O’Briens don’t have a great selection at the value end: they do. And an honourable mention must go to Marcus Eguren’s Protocolo from Spain and Bellow’s Rock Shiraz from South Africa, but the two wines below offer unbeatable value for money. The Réserve De Bonpas is a classic Southern Rhône blend of Grenache, Syrah and Mourvèdre. The Grenache is dominant and offers up delicious crunchy red berries to complement the black fruit, spicy pepper and cinnamon from the Syrah. There is very little oak and the soft, accessible tannins means this wine is dangerously easy to drink. There are many Southern Rhône Crus selling at twice this price that couldn’t hold a candle to this wine. Superb value. The second red is an interesting offering from Puglia, in the far south of Italy. Luna Argenta is made from Negroammaro and Primitivo grapes, some of which are left on the vine long enough to begin to raisin. This loss of water concentrates the flavours (and alcohol) in a similar way to the Amarone I recommended last week, but at €12.99 offers superb value. Full bodied, but silky smooth this wine is full of rich black fruits, cherries and vanilla; a delicious and very moreish wine. Dessert wines are some of the best value, not to mention underappreciated, wines in Ireland. Labour intensive and expensive to produce, sweet wines are the perfect accompaniment to desserts and cheese boards. The sweet wine above hails from the Adelaide Hills in South Australia and is only produced in favourable years from low-yielding Riesling vines, whose fruit is left hanging on the vine long in to the growing season. This extended ripening period allows the fruit build up sugars, whilst retaining the natural acidity of the Riesling grape. Rich and sweet, this terrific value wine offers honey and candied orange, overripe citrus fruits and floral notes. The luscious sweetness is balanced by a lovely acidity to ensure the wine does not feel cloying; a perfect way to round off your Christmas dinner. The beginning of December sees the calm before the Christmas storm for drinks retailers. Many offer enticing discounts in an effort to lure in the early shoppers; so it’s a great time for savvy consumers to pick up a few bargains. Today sees the beginning of O’Briens Off Licence Fine Wine Sale, with over fifty of their premium wines getting discounted by up to 40%. Over the coming weeks I will do a post about the best bargain Christmas Cracker wines in each major retailer, but today is all about that special Christmas Day dinner wine. The key to matching wines with Christmas dinner is not so much the meat served, but the accompanying sauce. If you lean towards a rich red wine gravy and cranberry sauce over your turkey and ham, match it with a wine of similar stature, such as an Amarone. These are big bruiser reds from the north-east of Italy, made by partially drying the Corvina and Rondinella grapes; a method known as appassimento. Raisining the grapes concentrates their flavour and richness before fermenting them into a rich, dry, powerful (and high alcohol!) wine. Due to the long, expensive production process, these wines are never cheap but there are a number of great quality Amarone wines included in the Fine Wine sale. At €24.99 (down from €34.99), the Rizzardi 3 Cru Amarone 2010 offers terrific value and is a great introduction to the Amarone style. However, if your budget can stretch to the Musella Amarone Riserva 2009, you will be well rewarded. At €40 (from €52) this is a big outlay for one bottle of wine and may not be to everyone’s taste. But if you like a highly concentrated wine with massive body and lashings of deep, dark fruit, balanced with a rich elegance you will not do better than this superb wine. Sticking with big reds, the Spanish are represented in the sale by one of Rioja’s great houses: Marqués de Murrieta. Founded in 1822, this is one of the stalwarts of the Rioja region and continues to make wines in the classic style; expect plenty of oak ageing and complexity from time in the bottle. The daddy of the Bodega is Castillo Ygay Gran Reserva 2005. Made from Tempranillo and Mazuelo grapes from their premium 80-year-old La Plana vineyard, this wine is left in predominantly American oak barrels for over 2 years, before ageing in bottle. It is full of cherry and bramble fruits, toasty and complex, with a long spicy finish; still surprisingly youthful for a 10-year-old wine. Delicious. However, as their flagship wine, the Castillo Ygay is still €63.75 (from €85) in the Fine Wine Sale. As this falls well outside most of our budgets, you can pick up the excellent Marqués de Murrieta Gran Reserva 2007 for a more reasonable €24.99 (usually €34.99). This offers a very similar palate to its illustrious older-brother without the price tag. With deep, rich black and red bramble fruits; spice, vanilla and toast from the oak barrels. As the world moves in the direction of more fruit-driven, fresher red wines, I remain a huge fan of well-made classic Rioja Gran Reserva and this is a big, classic Rioja at its best. Although not in the Fine Wine sale, I would like to give an honourable mention to Marqués de Murrieta’s Cappelanía; a classic oak-aged white Rioja. With roughly 18 months in wood (depending on vintage) these wines are a rare gem as the wine world becomes more homogenised. Although they will certainly not be to everyone’s taste, these wines offer notes of over-ripe pear, Christmas spice, toast and vanilla alongside a distinct fino sherry-character from the intentional slow oxidation. These white wines age extremely well and there are a few vintages to be found around Dublin for the intrepid Bacchant. The 2010 is currently available in O’Briens and the 2005 is available from Sweeney’s on the Finglas Rd. 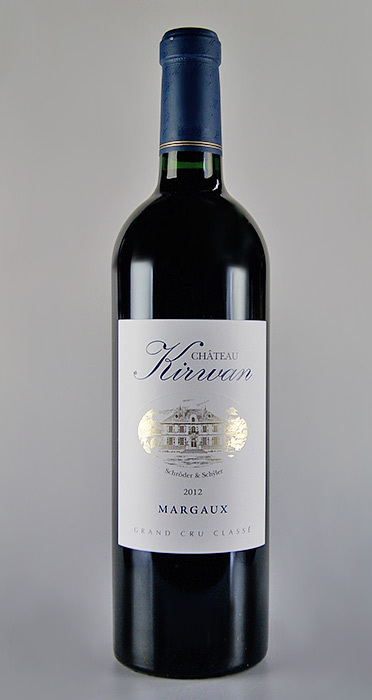 The pick of the French is Chateau Kirwan 2012: reduced by €26 (from €65 to €39). This elegant Cabernet-dominated Margaux offers rich black fruits and a spicy finish; although drinking very well now, it would be even better if put away for next year. The O’Briens Fine Wine sale ends Sunday and store limits apply, so be quick. Happy Drinking. HB. This article first appeared in wineplus.ie- Ireland’s biggest online wine magazine. For your FREE monthly magazine: subscribe@wineplus.ie. As the third most visited city in Europe last year, Barcelona needs no introduction; in 2014 over 7 million people enjoyed the modernist architecture of Gaudí set amongst the old world charm of this thriving city. There are sufficient guide books espousing the grandeur of the architecture and dark histories of the gothic Born to satisfy the most ardent culture vulture: but Barcelona also offers a myriad of opportunities for the enthusiastic wine traveller. If you are planning a wine holiday from the city, start off on the right foot and base yourself in the wine-themed Praktik Vinoteca. This hotel offers tastings and events during the week that will keep any wine lover satisfied. It is located a short walk from the elegant Passeig de Gràcia, where you will find La Vinoteca Torres. This beautiful restaurant and wine bar offers every Torres wine by the glass, as well as some classic, rare vintages. However, Barcelona’s Ace Card for the dedicated wine traveller is its proximity to some of the best wine regions in the world. Catalunya boasts ten Denominaciones de Origen, as well as being the traditional home of Cava. Take a break from the city to discover some of the best wines in Spain. Right on Barcelona’s doorstep is the premium wine region of Penedès. The main town is Vilafranca del Penedès, which is served by the local train service. This bustling town is well worth a visit and is the closest to the Torres family’s impressive winery. Book ahead at reserves@torres.es and they will arrange bus transfer out to their immaculate winery where you can enjoy a tour of the vineyards in a solar-powered train. Well worth the trip. Penedès can also boast the best quality sparkling wine in the country. 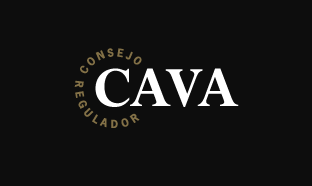 Cava is produced using the same laborious, slow method that produces Champagne; and the best can compete with their illustrious French counterparts. Although Cava can be produced across Spain, its traditional heart beats in the small town of Sant Sadurní d’Anoia. A 45 minute train journey from Barcelona, Cava cellars jostle for space amongst the tapas bars and restaurants of this vibrant town. The jewel in Catalunya’s viticultural crown, Priorat is one of only two regions in Spain (the other being Rioja) to achieve the premium DOC/DOQ classification. This arid, remote region is a relative newcomer to the world of fine wines, but has quickly garnered a reputation for its powerful, rich reds, grown on the unique llicorella soils. Despite the popularity of the wines, Priorat’s mountainous isolation has seen a slow uptake in tourists, offering the intrepid wine traveller a glimpse of unspoilt, rural Catalunya. Although there is a public transport system, it is infrequent and unreliable; instead rent a car and drive the two hours from Barcelona. 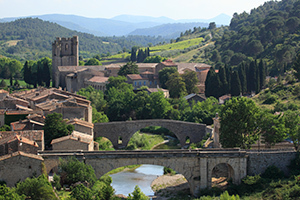 The remote, sleepy white villages are the perfect antidote to the bustle of the city, so why not stay a couple of nights in the picturesque village of Gratallops. The wonderful family-run Hotel Cal Llop offers terrific views across some of the finest vineyards in Spain. Torres Priorat: As Torres looks to expand its family business in to each of the quality wine regions of Spain, it was inevitable they would build a winery in Priorat. Perched above the tiny town of El Loar, Torres’ modern winery offers samples of their complex, powerful wines from the tasting room that boasts unparalleled views across the vineyard-strewn Priorat landscape. These regions only scratch the surface of Catalunya’s wine offering, so on your return to Barcelona try out your new found knowledge with a trip around some of the city’s local wine bars, of which there are plenty. Not to be missed is the tiny, atmospheric Zim bar. With irregular opening hours and room for no more than 10 people, it is a hidden gem in Barcelona. For dessert, head to El Diset in the Born district for one of their local sweet wines and a Catalan cheeseboard. Dominated by Cariñena and Garnatxa (Grenache- see grape of the month) from old vines, this wine comes from a small Priorat producer. A deep violet colour, it has terrific overripe red berries, liquorice and floral notes, held together by the classic llicorella minerality before a long peppery finish. Although the region is better known for its powerful reds, Priorat also produces fantastic, complex white wines. Made from Garnatxa Blanca (White Grenache) and Macabeo this wine is aged in oak to give it a full body and more than a hint of toast and coconut over orange peel and ripe pineapple. This will not be to everyone’s taste, but a fabulously unusual and well made wine. Made using the traditional Cava grapes of Xarel.lo, Macabeu and Parellada, as well as a dash of Chardonnay, this wine is aged 40 months on the lees to give rich pastry and almond alongside fresh citrus and floral notes. With its fine bead of bubbles, this is very dry and a terrific food wine; match with a goat cheese and strawberry salad, or fresh oysters. 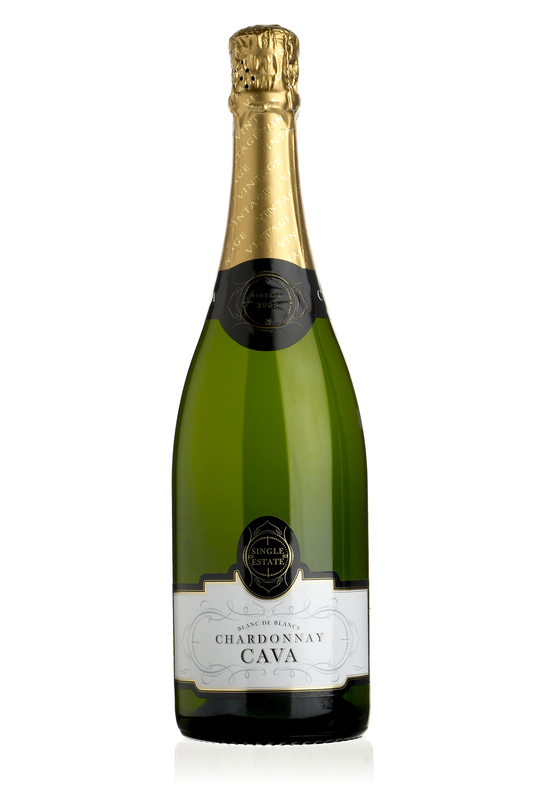 For the Champagne lover looking for something different, this vintage Cava is single estate Chardonnay sourced from top producer Segura Viudas. Elegant, with a creamy mousse, ripe lemon, fresh herbs and a touch of stone fruit. Although the phrase ‘living legend’ is often flung about with the hyperbolic abandon of wedding confetti, it is genuinely hard to find a more apt title for René Barbier. Few wine regions in the world owe its success to one winemaker more than Priorat does to the founder of Celler Clos Mogador. Despite the Agricultural Ministry recognising it as having potential in 1932, a combination of phylloxera in the 19th century and political upheaval through the 20th saw most Priorat vineyards abandoned and the area heavily depopulated. Coming from a long line of winemakers, René Barbier arrived in Priorat in the late 1970’s when the region was producing little more than bulk jug wine for the Barcelona market. Determined that it had huge quality potential, René convinced seven* other winemakers to experiment on this parched, baked llicorella (local slate) soil. These early pioneers formed a winery producing one wine from their collective grapes, but released under their respective names. Their powerful wines quickly gained international attention for the concentration, minerality and purity of fruit. They went on to become some of the best known wines in Spain: l’Ermita, Clos de l’Obac and Clos Mogador. Old, abandoned vineyards were snapped up as investment poured in to Priorat, tripling the area of land under vine in 35 years. This oenology revolution culminated in 2000 when Priorat was awarded DOQ status by the Catalan government; one of only two Spanish regions (Rioja the other) to achieve this premium accolade. Despite his global recognition in the wine world, René Barbier is an immediately hospitable, approachable and likeable gent. 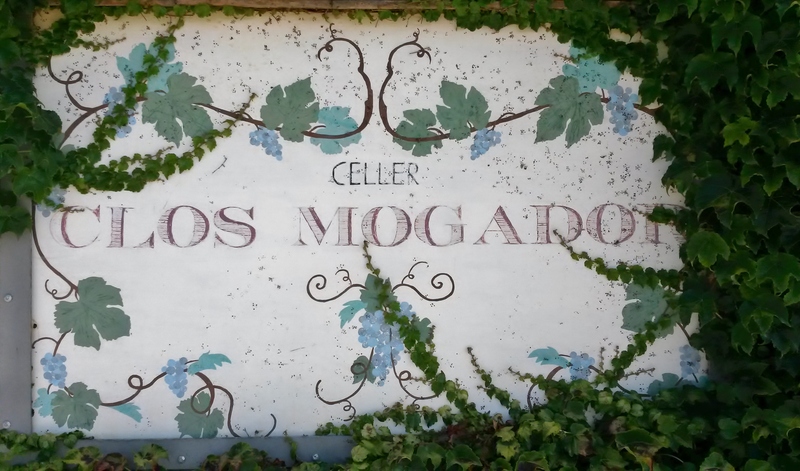 On a recent visit to the Clos Mogador winery he gave me a private tour of his vineyards in an old Mitsubishi 4×4. He told me in his dulcet, deliberate manner (so even my elementary Spanish could keep up) that Clos Mogador was the first wine awarded Vi de Finca staus, recognising it as a single vineyard wine of unique character. Using no pesticides or herbicides these steep terraced vineyards are teeming with insects, wild flowers and grasses; the oldest vines producing as little as 250g of exceptionally concentrated fruit per year. Back in the winery I was entrusted to the next generation of Barbier winemakers, René IV, whose perfect English gave my miniscule Spanish a welcome break! Working with his father for over 20 years, René Jr is as affable in manner and as he is passionate in winemaking. Unwilling to simply grasp his famous sire’s coattails, René Jr is continuing to innovate with his wines, both in Priorat and neighbouring Montsant; full-bodied whites, ageworthy rosé, natural wines, and the use of large local amphorae are just part of his experimentation. Drawn to wine styles of unique character- sherry, aged Rieslings, Tokaji- René makes a lot of wines that wouldn’t have mass market appeal. Instead he makes the wines he likes to make and drink; a fortunate luxury when your name is René Barbier! Luckily for us he is incredibly talented at what he does. A morning (and well in to the afternoon!) spent trying his wines shows his impressive range of winemaking skills. Each wine unique and crafted with consummate skill; the Barbier family, synonymous with quality, is in very capable hands to continue their impressive legacy of innovation. * Although we now refer to them as the Big 5, René Jnr assured me there were originally 8!